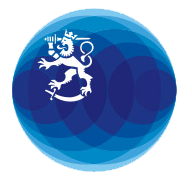 If you are a Finnish citizen and you get married abroad, you must notify the marriage to the Finnish Population System. Ask the person conducting the marriage, what documents are needed when the ceremony is performed before a foreign public authority. A Finnish certificate of no impediment can be ordered in multiple languages from the Local Registry Office in your municipality of residence. Documents that are used abroad, must be legalised. Some priests working among expatriate Finns, who are employed by Evangelical Lutheran Church of Finland, have the right to conduct marriages abroad. For further information, visit the website. You cannot get married at an embassy of Finland. When a Finnish citizen gets married outside Finland it must be notified to the Local Register Office. You can also leave the notification at a Finnish embassy or send it there to be posted to the Local Register Office for registration. The original marriage certificate or a copy of it, authenticated at the mission of Finland, must be appended to the notification. The document must be legalised and if it has been issued in some other language than Finnish, Swedish or English, an authorised translation in one of these languages must be provided. Translations made abroad must be legalised. Translations made by an authorised translator in Finland are valid as such. The U.S. marriage certificate must be legalized with an Apostille certificate. You will find instructions for obtaining the Apostille certificate by following this link. Please download the PDF form that you will have to complete and submit at the Population Register: notification of a civil partnership registered outside finland. Customer service by appointment only: Mon–Thu 9.00 am–12.00 pm. Public holidays when the Consulate is closed.